The WETA booth at New York Comic-Con 2014 was similar to their SDCC one. It had the massive Smaug display with the glowing, blinking eyes, which was clear crowd pleaser. The majority of their booth was taken up by their Lord of the Rings and The Hobbit collectibles. they also had some room to display a few Elysium items as well as the new rocket from Thunderbirds Go, which is coming in 2015. They also had some collectible replicas from Team Fortress 2’s Dr. Grordbort packs. Wave 1 ships in February. Read on to check out the new additions to the line. 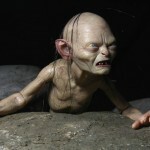 NECA has posted photos and info for their upcoming Deluxe Lord of the Rings Gollum and Smeagol Figures. These 1/4 Scale figures are due out later this month. They feature over 25 points of articulation. See photos of both figures by clicking the headline of the story. Check out the pics by clicking the headline of the story. NECA has tweeted a new pic of their upcoming Gollum figure from The Hobbit. Like most figures from NECA, this will be in the 7″ figure scale range. The figure is due to hit stores in November. Click the thumbnail to check it out. Gentle Giant has released images and info for their upcoming The Hobbit Gollum Mini Bust. The 1/6th scale bust will sell for $65.00. It is expected to be released in the first quarter of 2013. 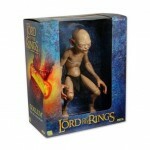 Straight from the silver screen to your shelf, Gentle Giant Ltd. is proud to bring you the Gollum Mini Bust! This bust was designed to be the most accurate replica possible – from each lonesome wisp of hair on poor Gollum’s head to each vertebra bent and twisted by The One Ring’s corrupt magic, no detail has been overlooked. Cast in high quality polystone, this limited-edition Precious is hand-painted and individually numbered. Includes matching certificate of authenticity. Check out the photos by reading on. 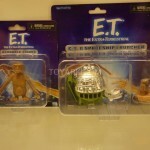 SDCC 12 – NECA Gremlins, ET, Rocky, Rambo, Etc. 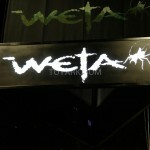 Here are pics from NECA’s booth at San Diego Comic-Con 2012. Photos include Gremlins. ET, Rocky, Rambo and some other stuff. 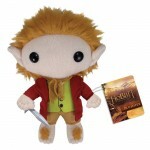 Check out Weta’s Lord of the Rings and The Hobbit items on display at San Diego Comic-Con 2012.